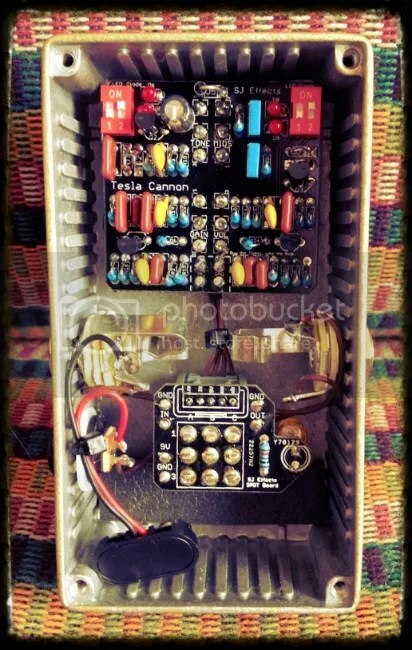 This is a custom Tesla Cannon that I built for a guy who loves his Skreddy Mayo, but wished it had more control over the mids, and a tad more gain on tap. He is also a massive Smashing Pumpkins fan (as am I for that matter), so the name came from him. The PCB is my standard ‘Tesla Cannon’ circuit, but with some tweaks to get a tad more saturation and gain going on (larger coupling caps, lower value emitter resistors etc.). I also used 2N5088 transistors (I usually use BC184C’s or BC550C’s) in this build to bump the gain up even further. The transistors were hand selected and tested as usual with all my Big Muff builds. This thing is a beast; it produces a huge wall of fuzz, and the sustain control has a lot more usefull range than most Big Muff’s I have used. 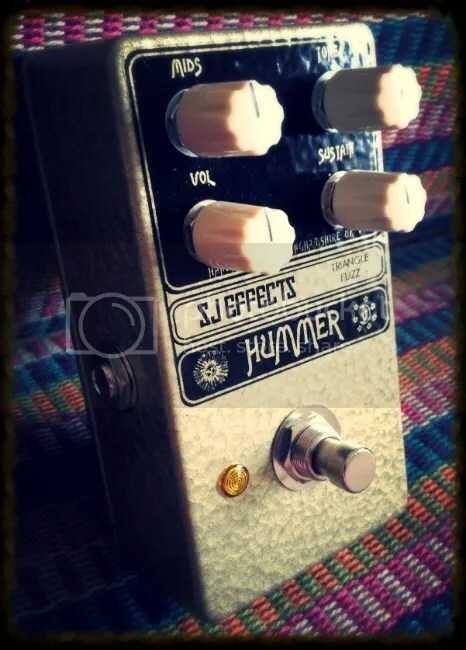 This entry was posted in Uncategorized and tagged big muff, big muff mids, big muff mids switch, custom effects, custom fuzz pedal, custom fx, custom guitar effects, custom guitar pedals, fuzz pedal, mayo muff by sjeffects. Bookmark the permalink. I can attest to everything Steve said above, and tell you that I love this pedal! It does everything I hoped it would, with a whole other pedal’s worth of additional sounds! That mids knob was a genius idea. Genius, I tell you! 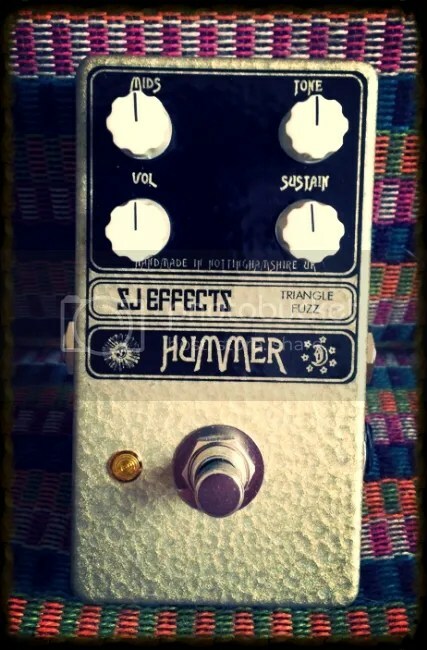 Thanks Steve… I’ll still be discovering this pedal and everything it can do for weeks to come!